We have a public load balancer attached to the VM scale set of our Service Fabric Cluster. I have created a new internal private load balancer to attach to the VM's for better security. 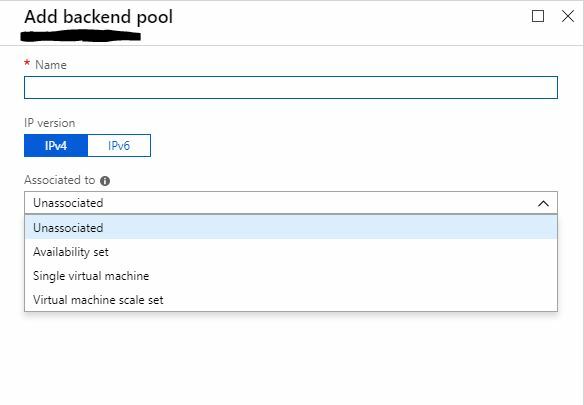 But when I go into Add in the Backend Pool configuration of the new private load balancer, the option to add the VM scale set is not there. In fact the screen looks different than the Add screen in the public load balancer: (the public load balancer has a dropdown menu for "Associated to" where you choose Virtual Machine Scale Set, whereas the private load balancer doesn't have that menu - it just has a virtual network dropdown and single Virtual Machine dropdown, and neither have what I need in their lists). I've attached two screenshots for reference. Is the reason I'm not seeing the option for the Service Fabric VM Scale Set in the private load balancer options because it's still attached to the public load balancer? If not, how would I achieve this outside using the Portal? If so, will I interrupt traffic to the Service Fabric Cluster if I remove the public load balancer from the VM scale set? Finally, is there a way to just make the existing public load balancer private? No, there are options difference between the basic and standard SKU load balancer in the web UI. You could create an internal basic load balancer. Then associated the VMSS to the backend pool of new load balancer. Since the access frontend IP change, it will interrupt traffic. It's not possible to make the existing public load balancer private directly, you need to create a new internal load balancer, then reply the old load balancer configuration with the new one. Then remove the old one. 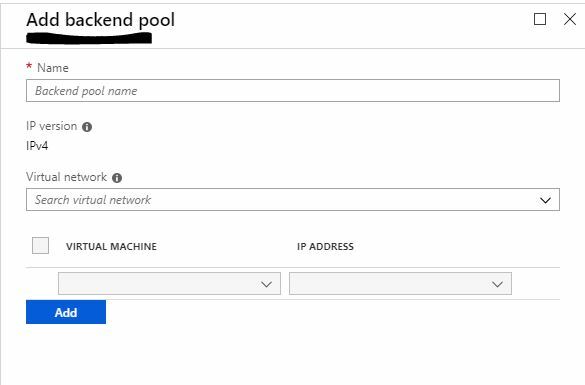 You can refer to this quickstart to create a Basic load balancer by using the Azure portal and select type Internal. what you could do - attach internal load balancer, migrate traffic to that and detach public load balancer after that. Not the answer you're looking for? Browse other questions tagged azure azure-service-fabric azure-virtual-network azure-load-balancer or ask your own question.